Telus Mobility is not Canada's top wireless provider. 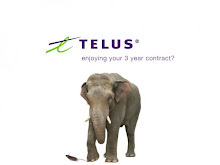 In fact, if you're looking at Telus Mobility from a customer service perspective, it's actually one of the worst cell phone companies in Canada. Since I've started this blog, we've grown to over 1500 visitors per month. People visit the site, leave their Telus Mobility comments, and come back to see who else is having Telus Mobility issues. The answer is: thousands of Canadians are sick and tired of being bullied by the seemingly friendly wireless provider. While Bell doesn't offer the best plans, and Rogers can sometimes be a little bit expensive depending on what promotions might be available, both are a lot easier to deal with in my opinion. I'll be writing more to back this up in the coming days. Until next time. 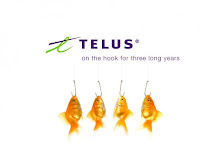 Stay away from Telus Mobility.